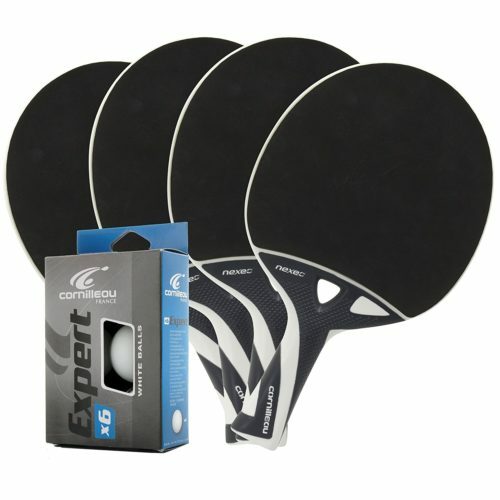 This racket set includes 4 of the new composite Tacteo 30 rackets and 6 balls. In addition to home use, these rackets are ideal for intensive use in schools, youth clubs, recreational centers and resorts. 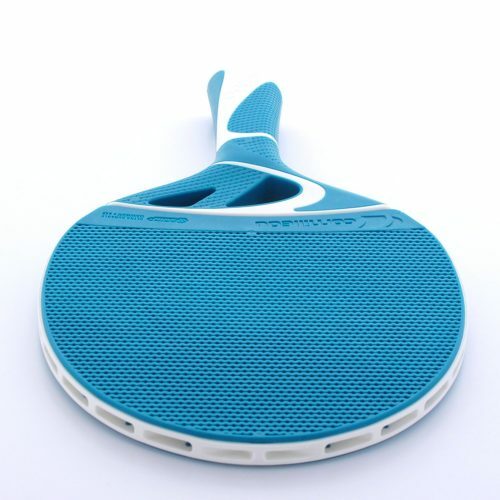 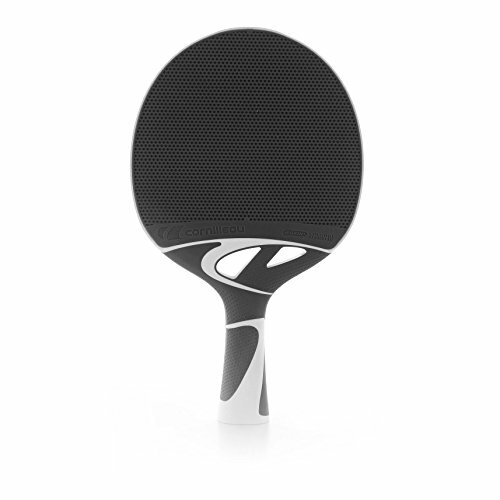 I find that the Tacteo 30 outdoor paddles are perfect for kids just learning to hit the ball. 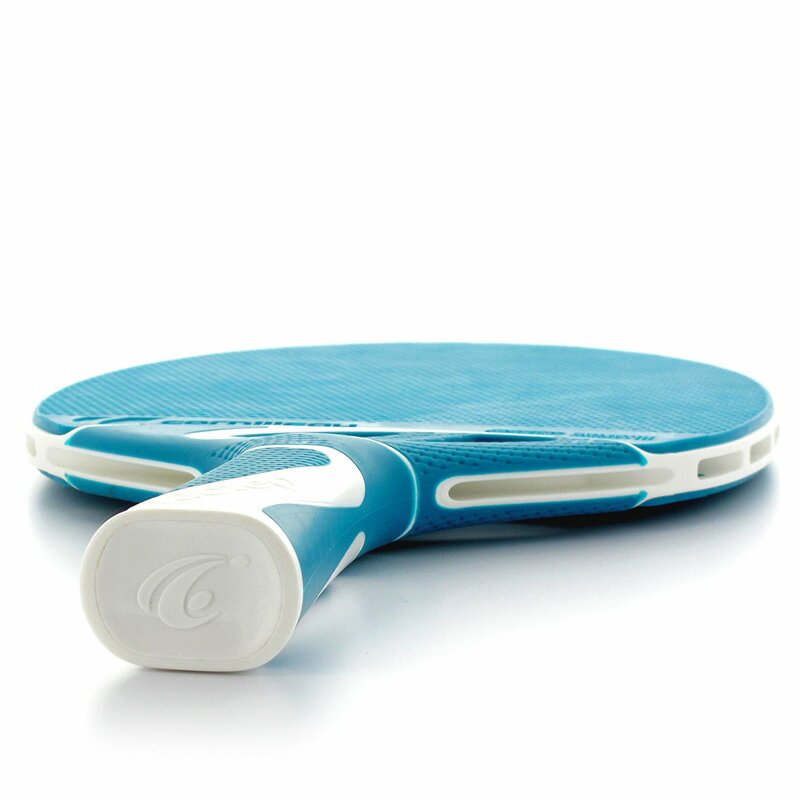 They are forgiving and don’t require any spin to ‘push’ the ball effectively. 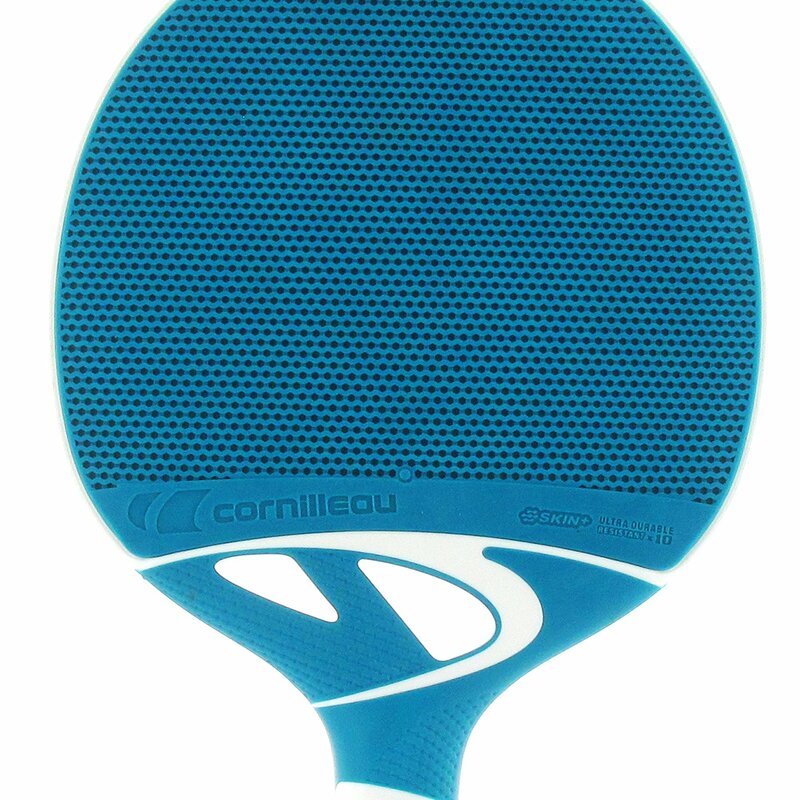 I even have some adults swear by these paddles. 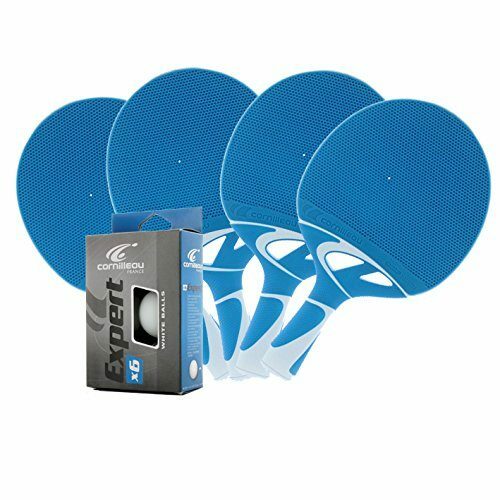 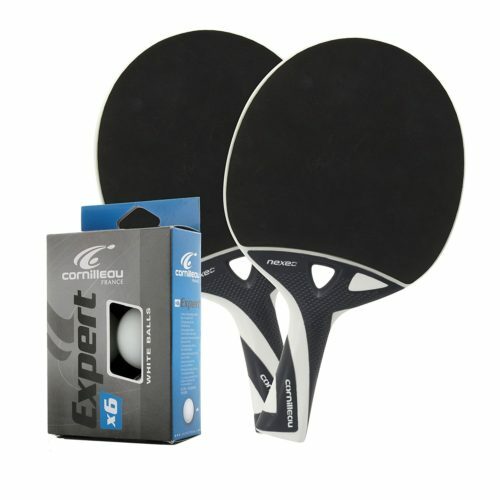 If you want to move up in your game, consider the Nexeo X70s or Nexeo X90s – these paddles allow you to hit with more spin which ultimately leads to control.